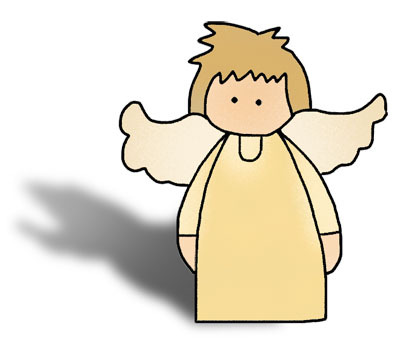 Cut pattern from 3/4" pine if the angel will be standing or 1/2" plywood if you are making a angel that will hang. Add glitter to the wings or use glitter paint when painting. Use blush or a pale pink for the angel's cheeks. 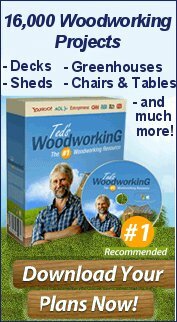 There are many other ways to make this angel besides out of wood. Cut the basic shape out of cardstock, cut the clothes and hair out of felt and glue on or use paints. 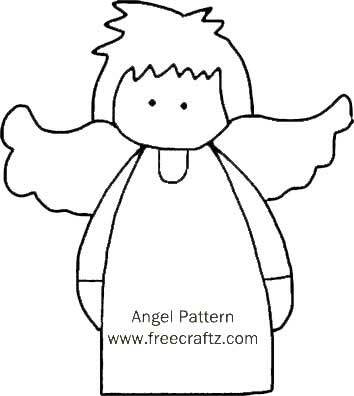 Or just print the pattern and the angel can be a coloring project for your kids. Use as a decoration. Add To: and From: on the angels robe and attach to Christmas presents. Punch a hole in the top and attach a gold ribbon or embroidery floss.